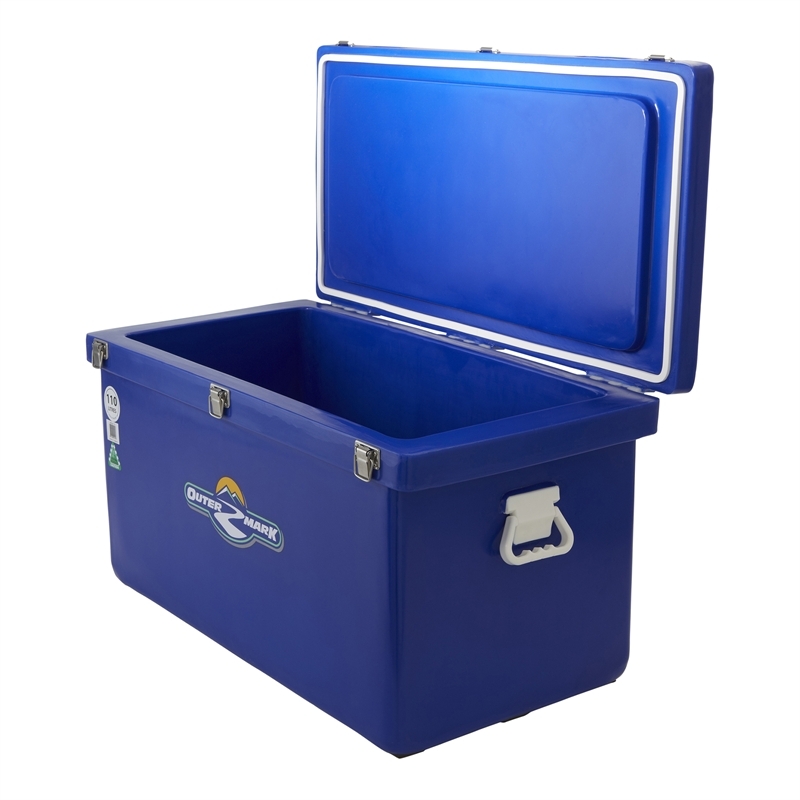 This 110 Litre Premium Moulded Cooler features a high-grade polyethylene outer, with an inner constructed from high density polyurethane ensuring it maintains a colder temperature for longer than standard coolers. Stainless steel latches and a tough, durable construction ensure the Outermark 110 Litre Premium Cooler is the ultimate cold storage for your precious, beautiful beer. It lives at the Terminus Hotel most of the time.